Kaiser - Hesel solution for high end reprodution work. 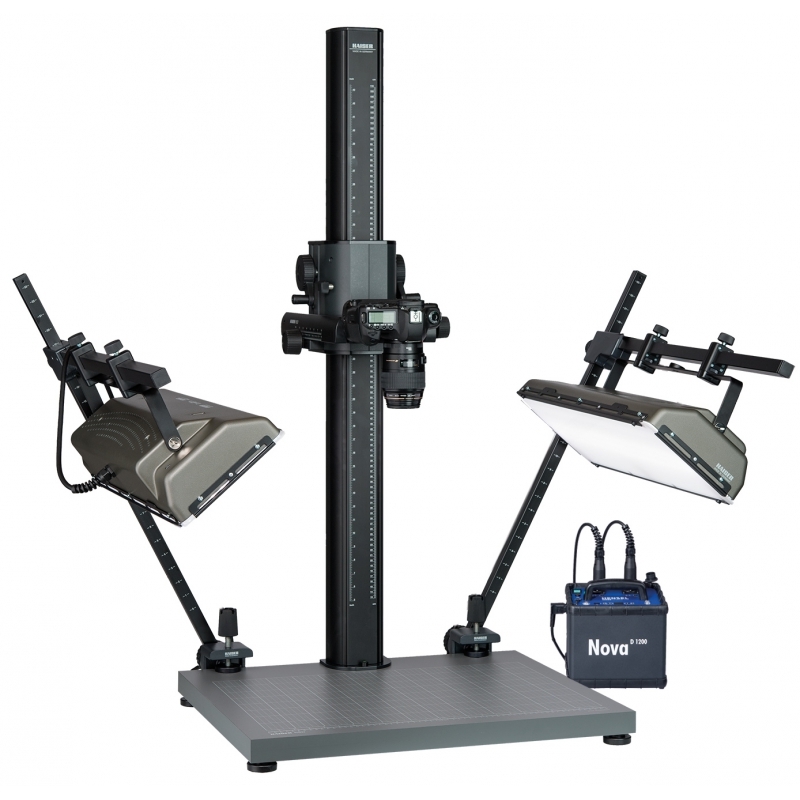 A sturdy Kaiser copy stand and versatile Hensel lighting solution gives new possibilites and even quicker workflow for reproduction. Price includes repro stand + lights without Hensel generator, see accessories list. There is a growing demand for digital transfers of analogue originals. At the same time there are increasing requirements on the quality of such reproductions. Many of these printed, plotted, exposed or written originals cannot be scanned, but have to be captured by photographic methods. To meet the increased requirements with respect to image capturing, German manufacturers and light specialists Kaiser Fototechnik and Hensel Visit have developed the CopyOne copy light system. It can be operated with almost any of the current and many of the older Hensel flash generators and can be attached to the Kaiser rePRO and RD system copy stands. The lamp heads of the CopyOne system feature flash light and continuous light with 5400 Kelvin daylight quality and thus combine the advantages of both these illumination techniques. The high light intensity with flash light mode provides for short exposure times without camera shake and eliminates the impact of distracting light sources. 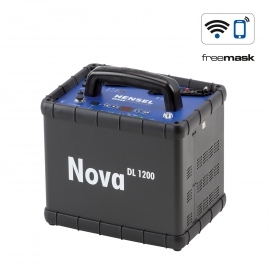 The maximum flash power is 1200 Ws, the setting range is up to 8 f-stops depending on the respective generator. The continuous light mode can be used for video and photo shots. Furthermore the LEDs (CRI=95) serve as a setting light with flash operation and are dimmed proportionately to the flash light. The maximum illuminance of the LEDs is approximately 2000 lux based on a preferably homogeneous illumination of a 11 x 16 inch original. A diffusor screen attached to the front together with the oblong design provides for the uniform light distribution and the original is not exposed to a thermal load. The CopyOne lamp heads can be supplied as single heads or as a complete lighting system, the CopyOne Repro-Kit, comprising two lamps heads and two lamp arms. Column made of special aluminum multisection tubing, matt black anodized, with cm and inch scales. Camera carrier made of aluminum section, can be horizontally adjusted over approx. 16 cm (6.3 in.) with rack-and-pinion parallel guides. Left hand/right hand operation, two blocking screws prevent inadvertent changing of the adjusted position. Camera mounting plate tiltable by ± 90°. Connecting screw horizontally adjustable. Height adjustment with hand crank (5602) or motorized (5603). Large non-reflecting matt grey base plate with printed grid, cm and inch scales. Feet adjustable in height. Spirit level. CopyOne lighting system can be used also with other mid and big size Kaiser repro stands. Hensel flash generators sold separately. Please ask for further information!